REI had 26×1.8 Michelin City tires at 25% off $28. 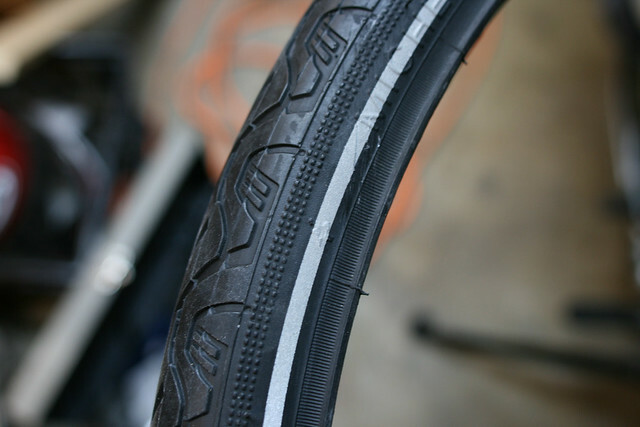 I was worried about my decade-old tires, particularly the fact that at only 1.4 inches, rim damage seemed fairly likely on a tour. I nabbed the last two tires. 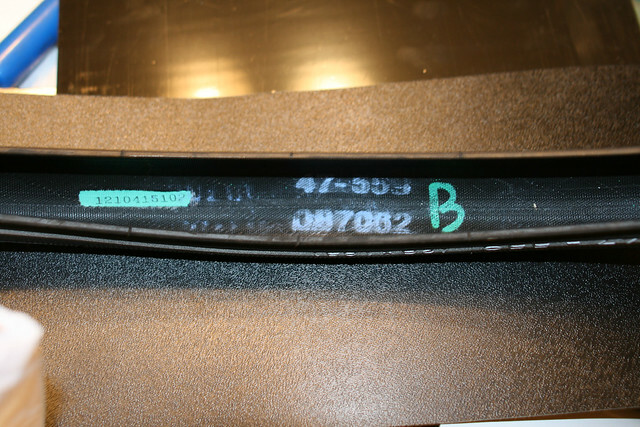 I noticed that one of the tires was missing the cardboard product tag, and that it had some writing inside the tire. I didn’t think much of it, and neither did the cashier. 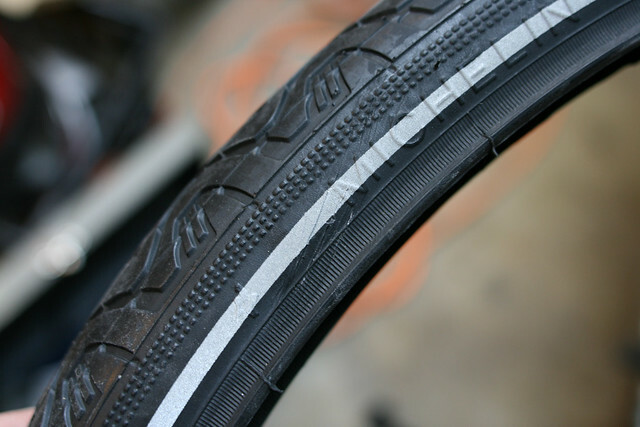 Not only was the tire ply visible, it was cut clean through along at least three parallel lines! 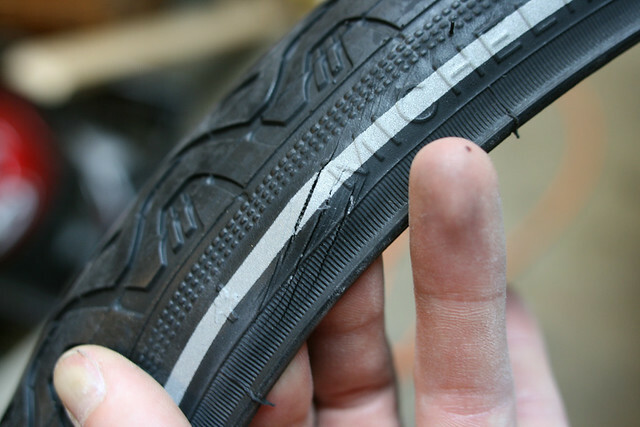 So remember: always very carefully inspect tires before purchasing them. 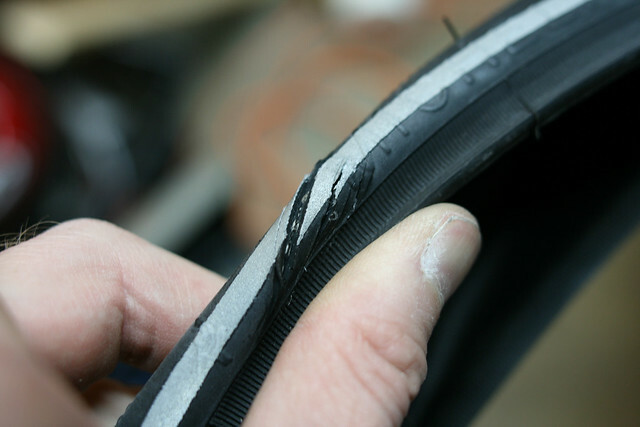 High speed blowouts are not fun.